Tee times are limited. Please call the golf shop at 808-249-0033 or email info@kamehamehagolf.com for more information. The King Kamehameha Golf Club is Maui's premier private golf club in Maui, Hawaii. The club's 74,000 sq.ft. clubhouse is designed by Frank Lloyd Wright and sits at 750 feet above sea level offering Haleakala, as well as bi-coastal ocean views. The golf club was named to honor the greatest king in the history of the Hawaiian Islands. The unification of the islands into a peaceful and prosperous kingdom has become his legacy, and our inspiration to honor the culture of Hawai'i and foster an awareness of the 'aina (land) and its malama 'aina (native resources). You will be welcomed with aloha . . . Hawaiian heart and soul. Come join our family and feel the Aloha at The King Kamehameha Golf Club. 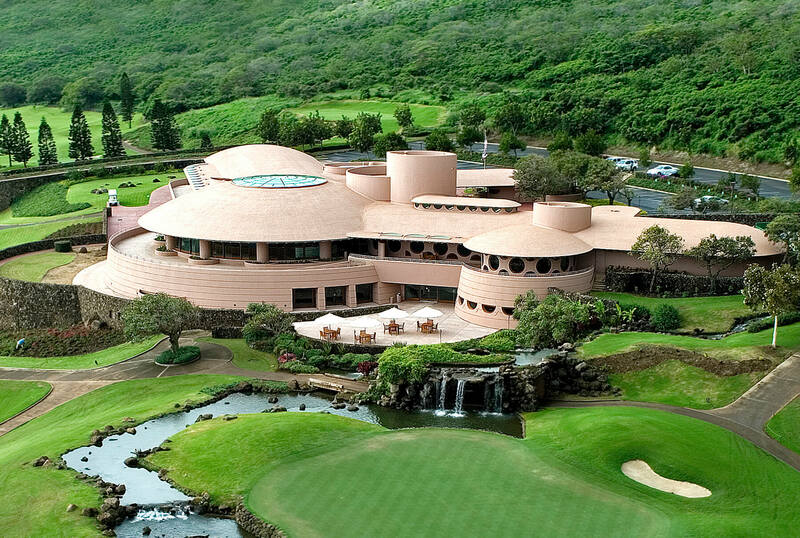 We are Hawaii's only Frank Lloyd Wright Clubhouse. 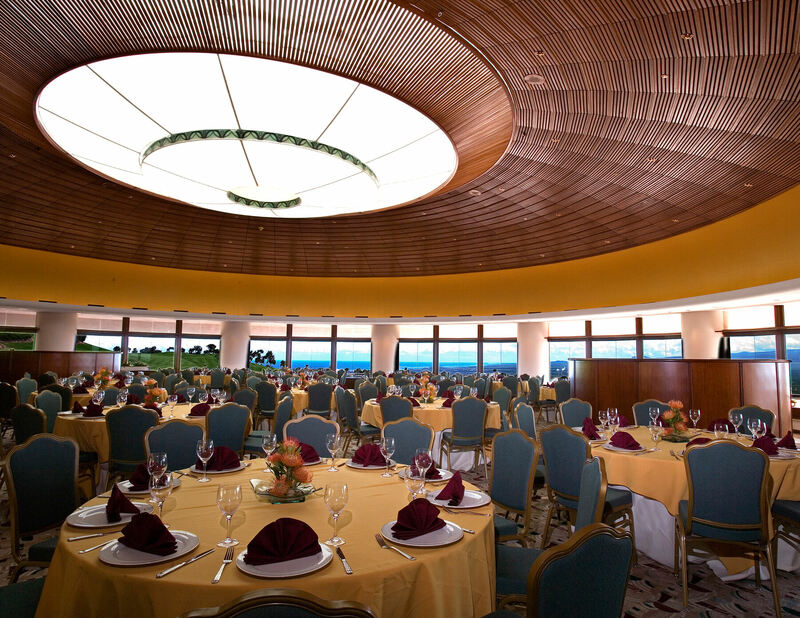 We feature golf, massage therapy, lunch, banquet and meeting facilities with spectacular bicoastal views. Pure, private Maui golf... and more! With a variety of membership choices, The King Kamehameha Golf Club offers Maui's most discerning players amazing golf, delicious cuisine, camaraderie, and a luxurious spa and clubhouse with headline entertainment. 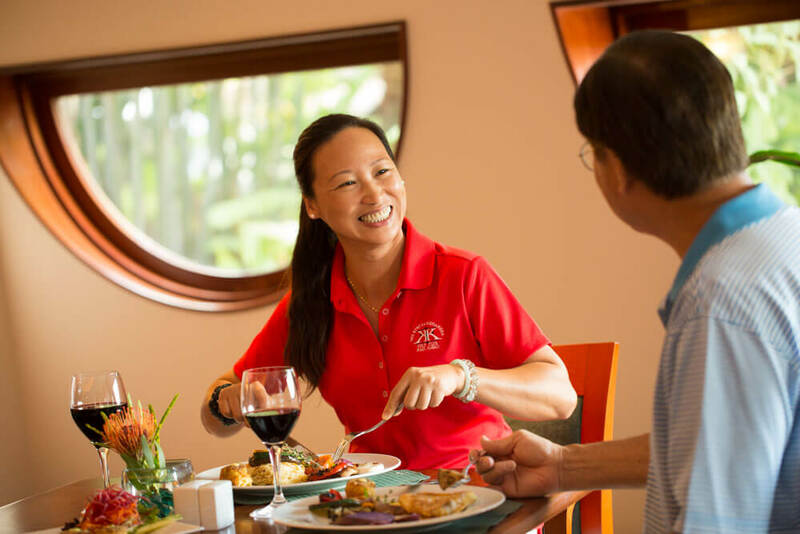 After a day at The King Kamehameha Golf Club you'll cherish the memories of an absolutely exquisite clubhouse and terraced views from every hole of a well-conditioned golf course that rewards good shots. Ted Robinson, Sr. and later refreshed by his son, Ted Robinson, Jr., used their three core design elements of flexibility, memorability, and natural beauty. The King Kamehameha Golf Club is a stunning venue for any wedding or special event! Our 74,000 sq. foot clubhouse was inspired by Frank Lloyd Wright and majestically sits on the sculpted slopes of Mauna Kahalawai overseeing Haleakala with bi-coastal views of the Pacific Ocean. Here you have the opportunity to embrace views and experience celebrations unbeknown by most.